Memorial Day • One family will pay tribute to their father and a Utah artillery battalion. Robert Avedisian, a member of the Pearl Harbor Survivor Association, attended the dedication of a World War II memorial in Cedar C Cedar City Mayor Gerald Sherratt speaks to crowd Saturday at the dedication of World War II memorial in the southern Utah city. Ma Vietnam veteran Bryant Jake brought 18-month-old granddaughter Echo Marie Hummingbird Jake to dedication of World War II memorial Trent Nelson | The Salt Lake Tribune Sunny Lee at her home in Springdale, Friday May 8, 2015. Trent Nelson | The Salt Lake Tribune A factsheet on a US serviceman, James Ruddell, who went missing in the Korean conflict, Fri Trent Nelson | The Salt Lake Tribune Sunny Lee at her home in Springdale, Friday May 8, 2015. 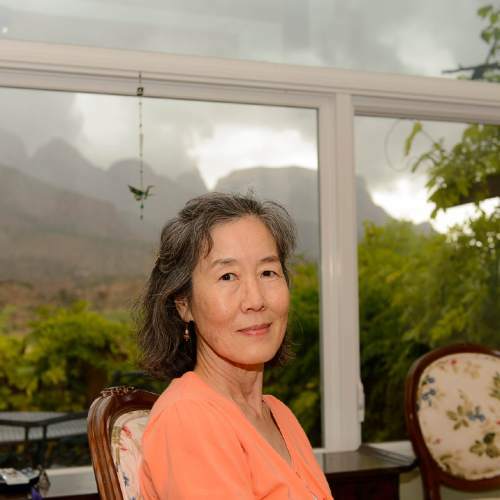 Trent Nelson | The Salt Lake Tribune A medal Sunny Lee received from the South Korean government in recognition of her volunteer Trent Nelson | The Salt Lake Tribune Sunny Lee at her home in Springdale, Friday May 8, 2015. 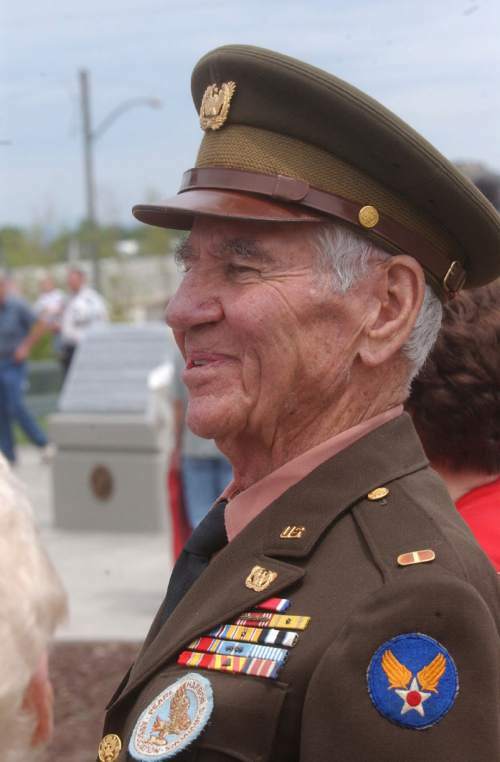 Robert Avedisian, a member of the Pearl Harbor Survivor Association, attended the dedication of a World War II memorial in Cedar City Saturday, wearing the same uniform he did in the war. 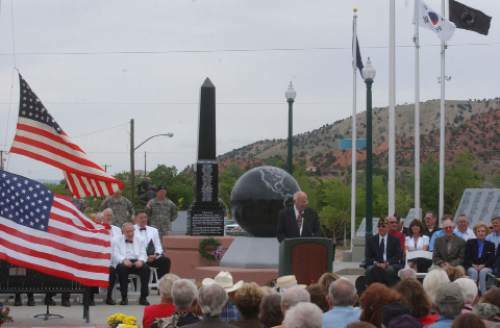 Mark Havnes/The Salt Lake Tribune Cedar City Mayor Gerald Sherratt speaks to crowd Saturday at the dedication of World War II memorial in the southern Utah city. 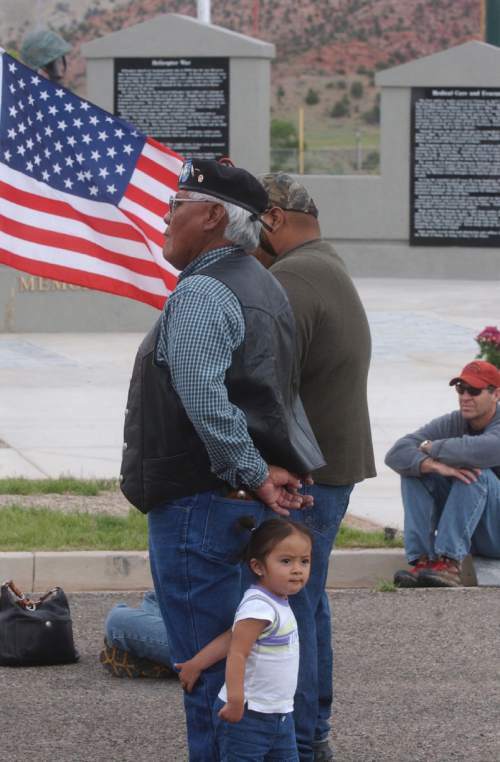 Mark Havnes/The Salt Lake Tribune Vietnam veteran Bryant Jake brought 18-month-old granddaughter Echo Marie Hummingbird Jake to dedication of World War II memorial Saturday in Cedar City. Mark Havnes/The Salt Lake Tribune Trent Nelson | The Salt Lake Tribune Sunny Lee at her home in Springdale, Friday May 8, 2015. Trent Nelson | The Salt Lake Tribune A factsheet on a US serviceman, James Ruddell, who went missing in the Korean conflict, Friday May 8, 2015. 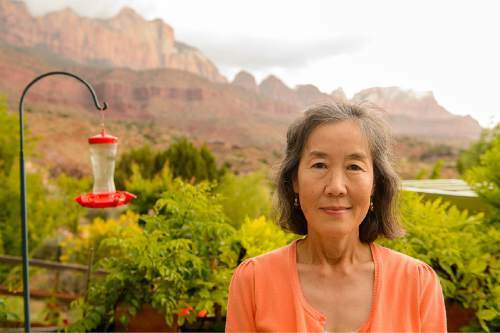 Trent Nelson | The Salt Lake Tribune Sunny Lee at her home in Springdale, Friday May 8, 2015. 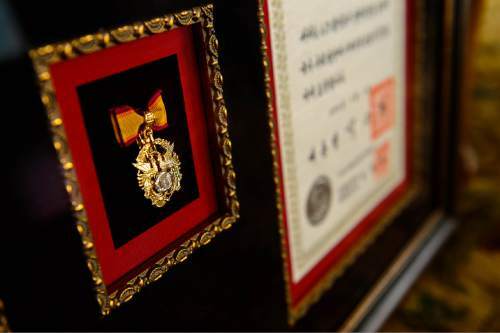 Trent Nelson | The Salt Lake Tribune A medal Sunny Lee received from the South Korean government in recognition of her volunteerism, in Springdale, Friday May 8, 2015. Trent Nelson | The Salt Lake Tribune Sunny Lee at her home in Springdale, Friday May 8, 2015. Springdale • She&apos;s like a travel agent with a government title. But Sunny Lee caters to a unique traveler: Korean War veterans, their children and grandchildren. And the title is from the Korean government, which calls her a volunteer coordinator. 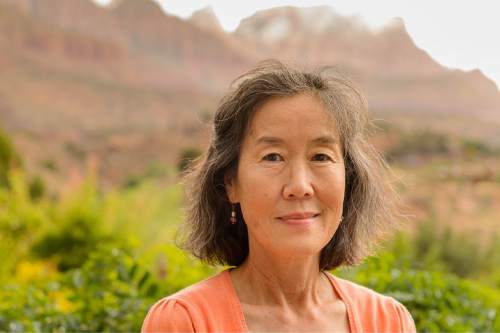 For six years, she has been helping veterans  mostly from Utah  and their families return to South Korea so they can see the country that has been built there since the war and pay tribute to people they lost on the peninsula or in the intervening decades. "Sixty-five years ago, they were so young," Lee said of the soldiers. "They didn&apos;t even realize what country it was." Lee has to stop and think how many people she has helped travel to South Korea. She estimates it&apos;s 100. She often joins the trip. One of Lee&apos;s trips is scheduled to coincide with June 25  the 65th anniversary of when the Korean War began. Eugene and Mark Dalley will be with her. They are sons of then-Lt. Col. Frank J. Dalley, commander of Utah National Guard&apos;s 213th Field Artillery Battalion when it deployed to the Korean War. The battalion fought with other United Nations forces in the Battle of Kapyong in 1951 and is credited with capturing 800 prisoners and burying 350 Chinese troops without suffering a death in the battalion. "I would like to go kind of representing Dad, as well as just be able to kind of pay tribute to all the men," Eugene Dalley said in a recent interview. "Dad was the commander and they fought a good fight." Lee connected the Dalleys to a South Korean government program that is paying half their airfare and all of their room and board. Eugene Dalley, who had an uncle who also fought in the Battle of Kapyong, called Lee a patriot to two countries. "She&apos;s just a great advocate," Eugene Dalley said, "for the tremendous effort that the troops made." Lee was born in Seoul about six months before a July 1953 armistice ended the Korean War. One of her early memories is drinking powdered milk that came from the United States. "I grew up with these thankful feelings for America," Lee said during a recent interview at her home in Springdale. She married her husband, John, in Korea. His sister had married a U.S. soldier, and she helped her siblings immigrate to the United States. The Lees arrived in the U.S. in 1976 and settled in California. John Lee started a Santa Ana, Calif., company that automated industrial sewing machines. Sunny Lee kept the finances while the couple also reared a son and daughter. At age 50, Lee was able to retire, and the couple moved to Springdale  a town they discovered during a road trip. They built a home with views of the redrock walls of Zion Canyon, the entry to Zion National Park. Lee also began looking for volunteer opportunities. She heard that a group in Cedar City was trying to erect a Korean War memorial but was having trouble raising the money. She lobbied the South Korean Consulate in San Francisco. Soon, the government appropriated $40,000. The memorial was dedicated Sept. 27, 2008. The next year, the South Korean Ministry of Patriots and Veterans Affairs recruited Lee. It wanted her to find veterans to take trips to South Korea. Lee&apos;s work has expanded. She helps the grandchildren of Korean War veterans attend a summer program in Seoul for college students. She also works with family members from all over the country whose servicemen were never found. She recently helped 49 such relatives take a trip to South Korea. Lee keeps a binder for each of the missing-in-action servicemen whose families she assists. 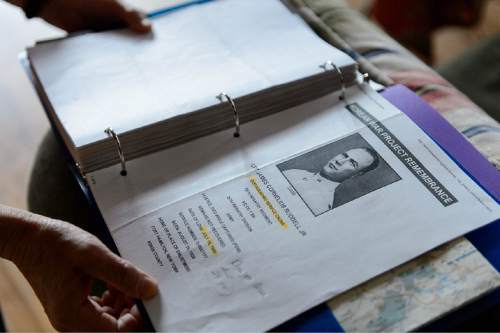 One binder, which she showed recently to a reporter and photographer, contained information about an airman from Minnesota who disappeared with his crew aboard a B-29. "They never had a closure," Lee said, "and they are the true forgotten Korean War families." Lee also volunteers once a week in Zion National Park. She would like to help there more and reduce her volunteering on behalf of the South Korean government. She hopes others will continue honoring Korean War veterans. "Without America," Lee said, "Korea wouldn&apos;t be what country it is."